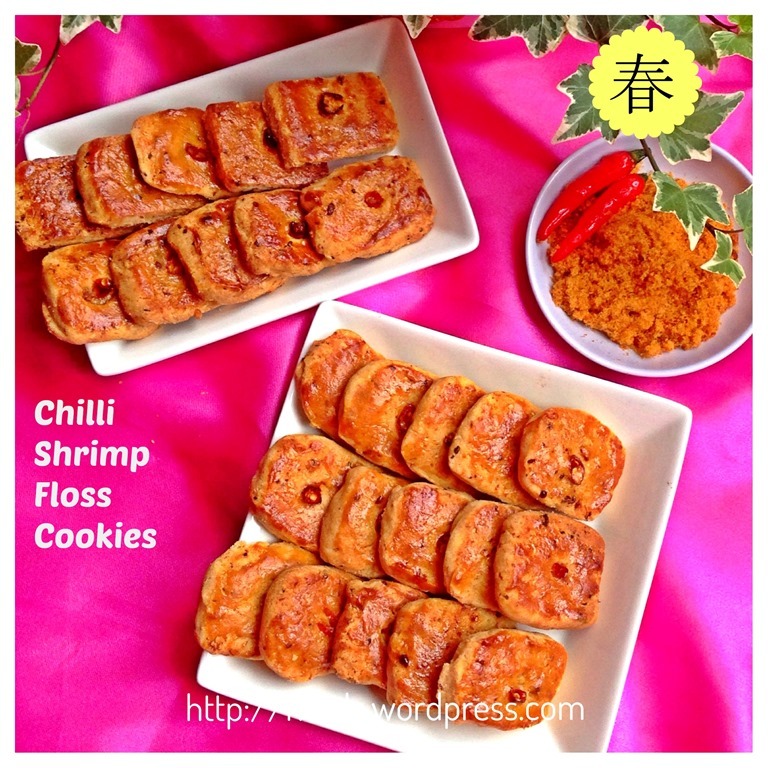 When I was shopping on Sunday, I saw the supermarket selling the Chilli Shrimp Floss or haebeehiam in Hokkien (a Chinese Dialect). It was rather economical and 180 gram bottle cost only SGD 3.50. 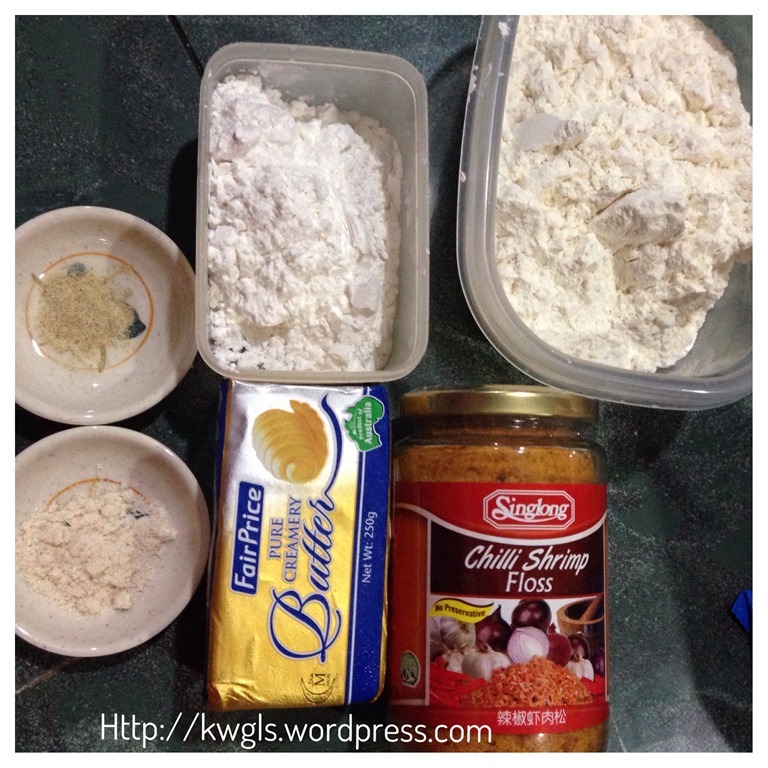 When I was young, we used to prepare this our self. It will need a lot of dry shrimps, shrimp paste, lemon grass, shallots, garlics, chilli and etc. It can be rather costly because of the price of dry shrimps. I have not prepared this for a long time. Immediately when I saw this, I told my wife I want to give it a try and bought a bottle. Immediately when I reached home, I opened the bottle and took some to taste. The taste was good, very aromatic and free of any fishy smell. 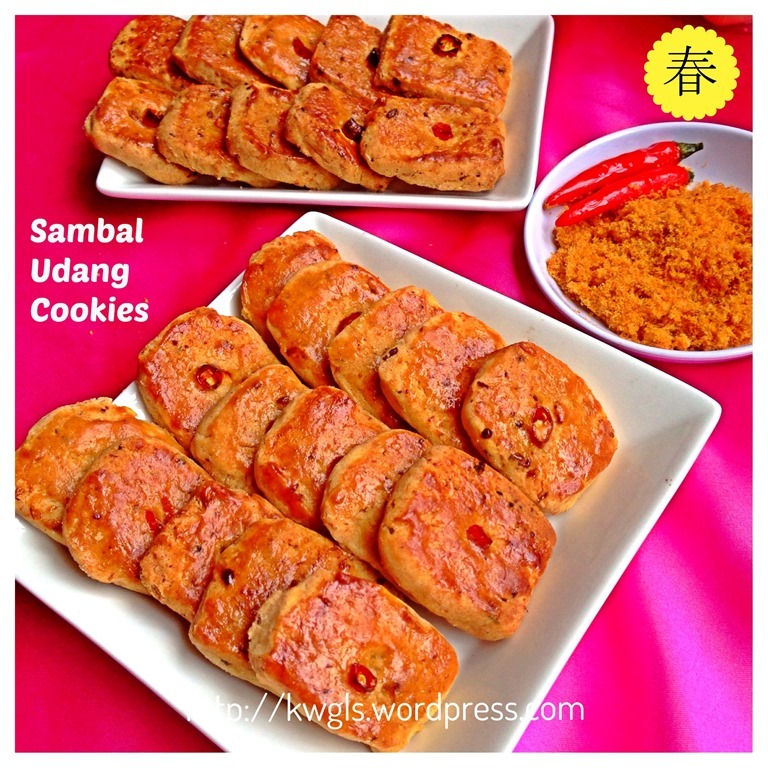 I got the inspiration to make this cookie from a Facebook Group where some members were posting their laksa cookies, another type of savoury cookies. I thought I might as well use this to give it a try. I know the taste will definitely blend with the cookie. I didn’t look for any recipe but modified from my Yin Yang Macadamia Chocolate Biscuits. 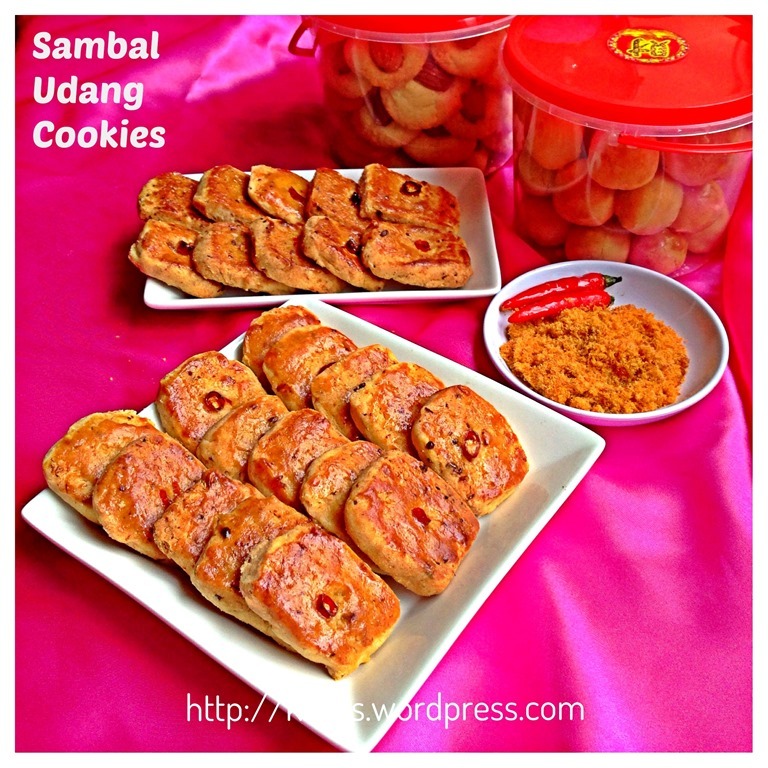 Since this is my own creation, I will have to modify the recipe and transform it from a sweet cookie to a savoury cookie. I have many ideas but I can’t try it all. 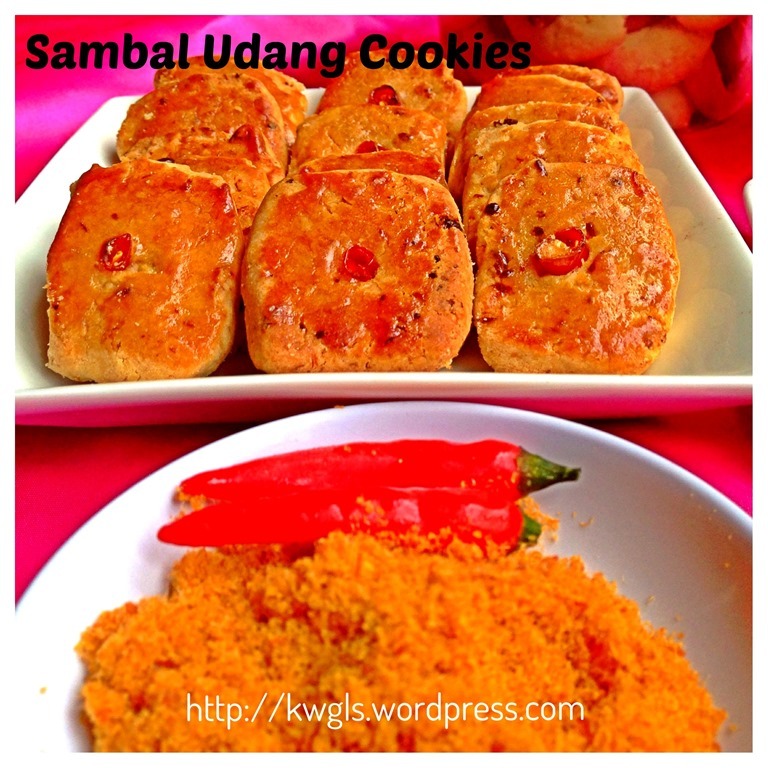 Some of my ideas include minced the chilli and include in the batter, add lemon grass to the cookies and etc.. If you are adventurous enough, you should try. When I posted up this cookie in a Facebook Group, a lot of members like the cookie. That surprised me. I would never expect the response to be good. But I believed it is not my cookie that capture their hearts, it is the haebeehiam that they loved. 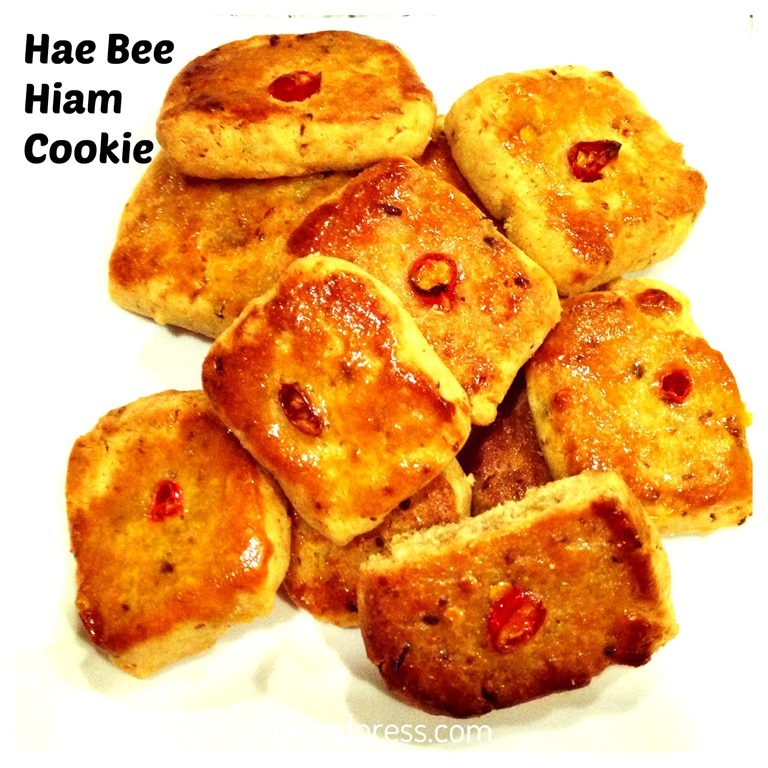 So, they will try haebeehiam in any form. Well, I believe that this cookie will definitely not disappoint them. It is savoury, crispy and aromatic. 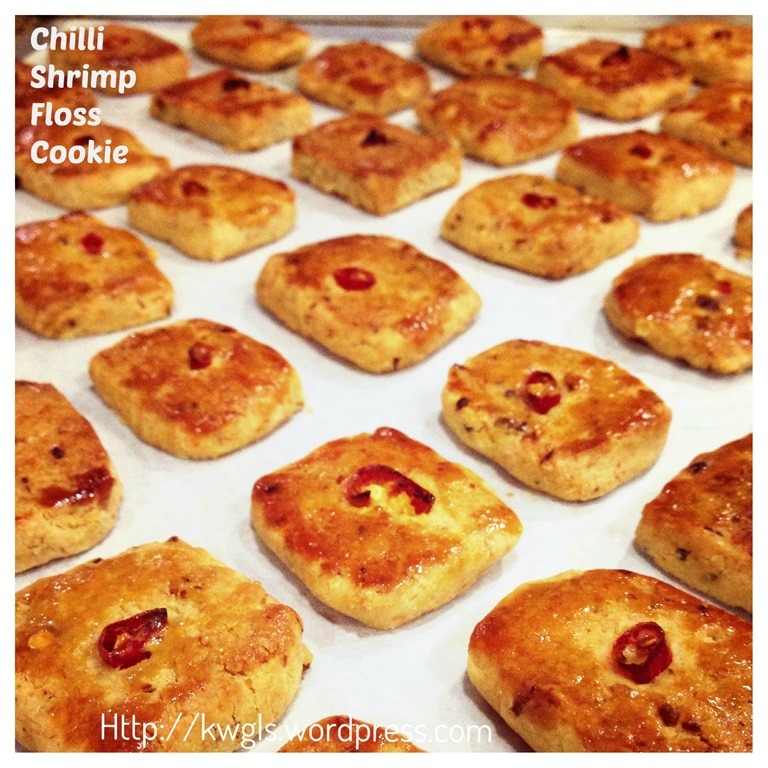 It will be another special cookie in the coming Chinese New Year. But for this cookie, I would like readers to trial and error. What is provided in this recipe is those that suit my taste buds. Prior to shaping, readers should take a bit of raw batter and taste, add additional seasonings if required. This is the way how the elders cooked their meal without recipe. Another way, like me, is not only to taste the batter, I test bake a piece of cookie in my oven toaster and adjust until it suit my taste buds. Readers are advise to do the same. This is a practical advise and it is always my sincere hope that readers will be able to modify the recipes that I issued and come out with one that they like. Line 1-2 baking trays with parchment/baking paper and pre-heat the oven to 180 degree Celsius. Cream the butter until light and pale. Add in one egg at a time, beat until well mixed. Sift in the corn starch, plain flour, white pepper and chicken stock. Use the mixer to mix at slow speed until well combined. Add light soya sauce and chilli shrimp floss. 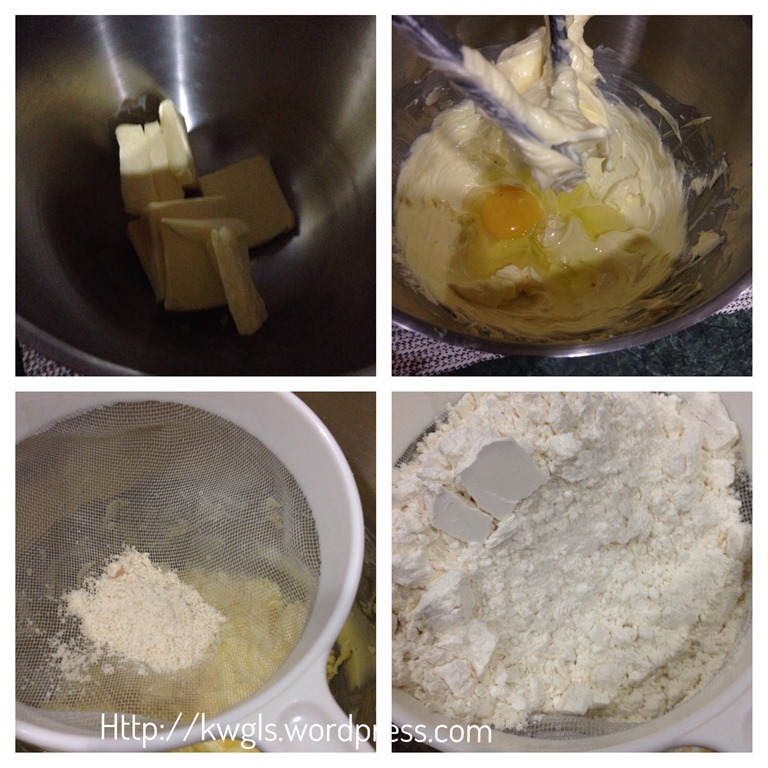 Use the mixer to mix again until well combined. 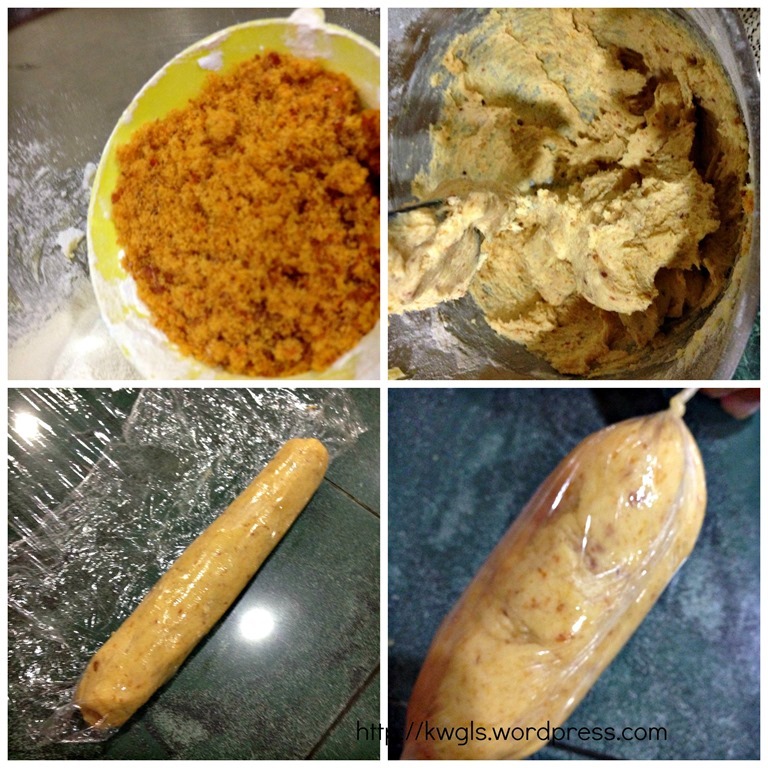 Transfer out and divide the dough equally, say 100 gram per dough. 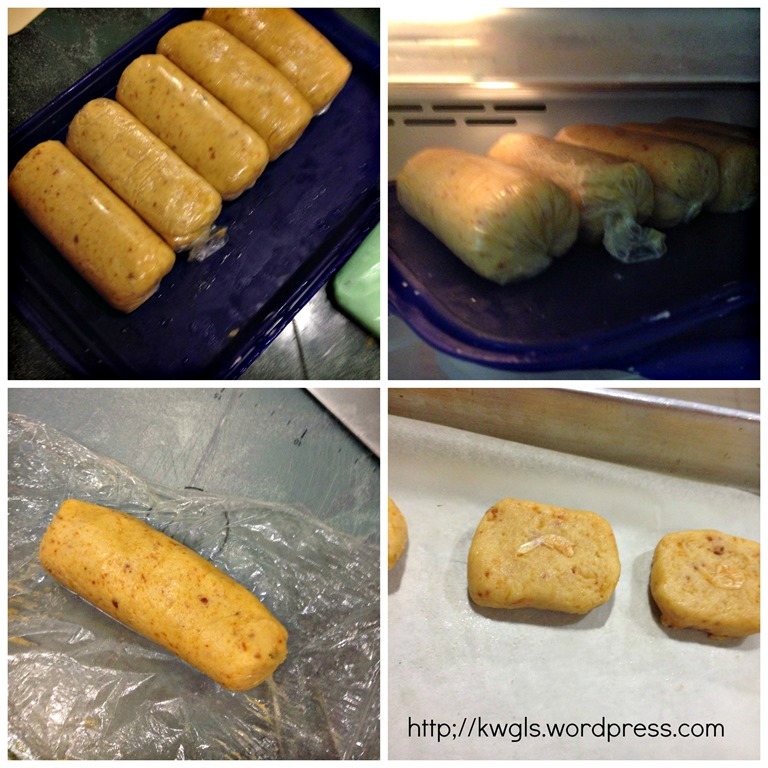 Put one portion of the dough on the clingy wrap and roll it into a rectangular shape. Tighten both ends. Put the dough in the freezer and let it harden. It will require about 15 minutes. When hardened, use a knife to cut into smaller pieces. Cut a the bird eye chilli into small pieces. Press one piece into the cookie (note: you must press it down the cake otherwise the chilli will get burnt). 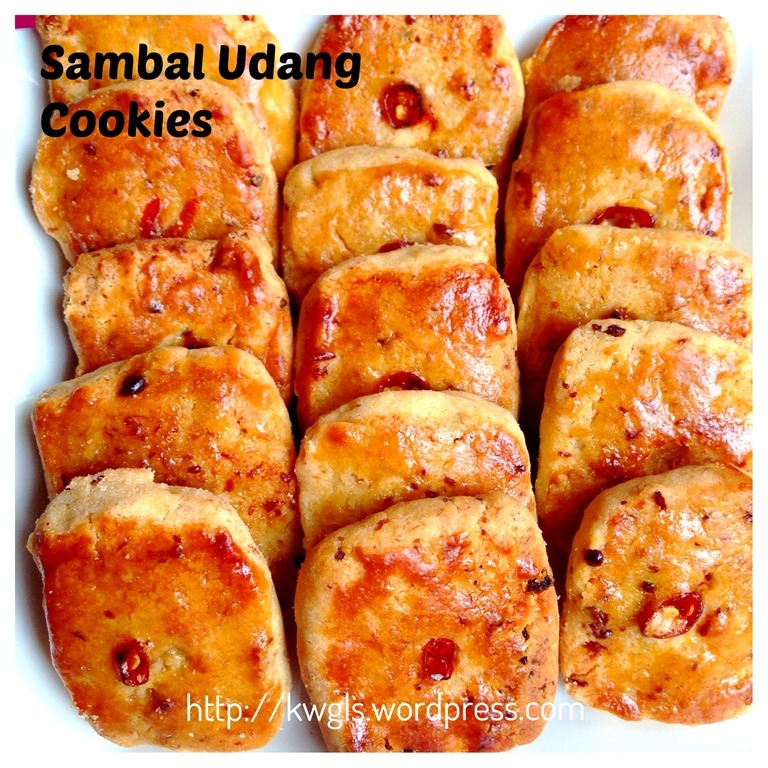 Baked in the pre-heated oven for 12-15 minutes or when it started to turn golden brown. Egg wash the cookie if preferred. For egg washing, crack 2 eggs and mix the egg yolks with 2 tablespoons of milk. 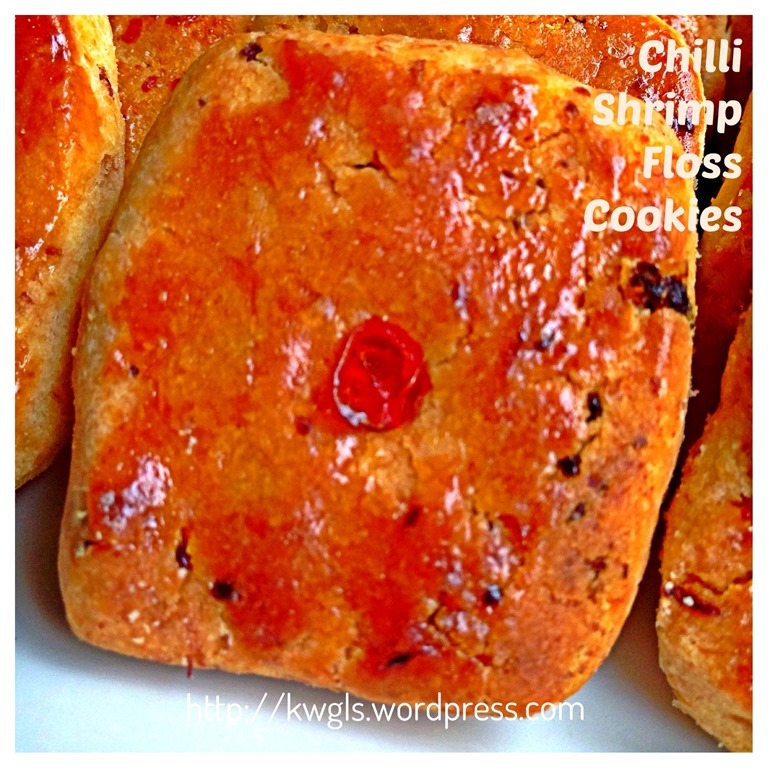 Please be prepared that some parts of cookies may looked burnt because of the shrimp floss. Any shrimp floss that was exposed will be burnt. So your cookies may have some black dots and that to me, is acceptable. It is not a difficult cookie to prepare except the shaping. As for the shaping, feel free to design your own shape. 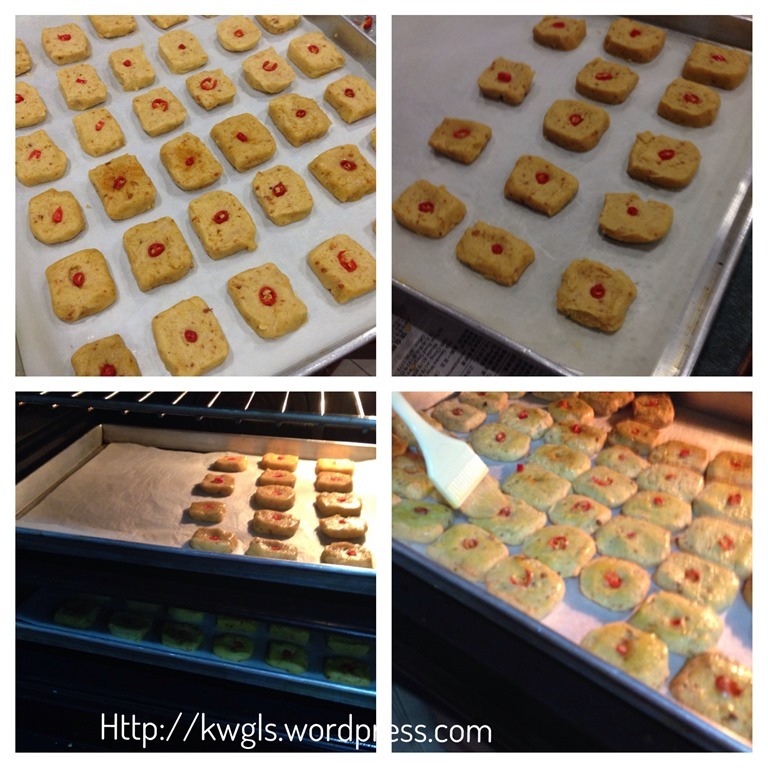 You can use cookie cutter, make it into a rectangular shape like the kaasstengels cookies or others. Remember to either test bake a piece or taste the raw batter before you shape the whole tray. Then, you can add additional seasonings that you like. You can always just take some batter and bake in the oven toaster. This basic recipe have used less seasonings as it is intentional for readers to adjust to suit their taste buds. If too high amount of seasonings were recommended, there will be no way for readers to reverse the batter if they are not savoury cookie persons. This recipe was included in Page 41 and Page 42 of the following E-book. No changes except no egg washing and shape changes. 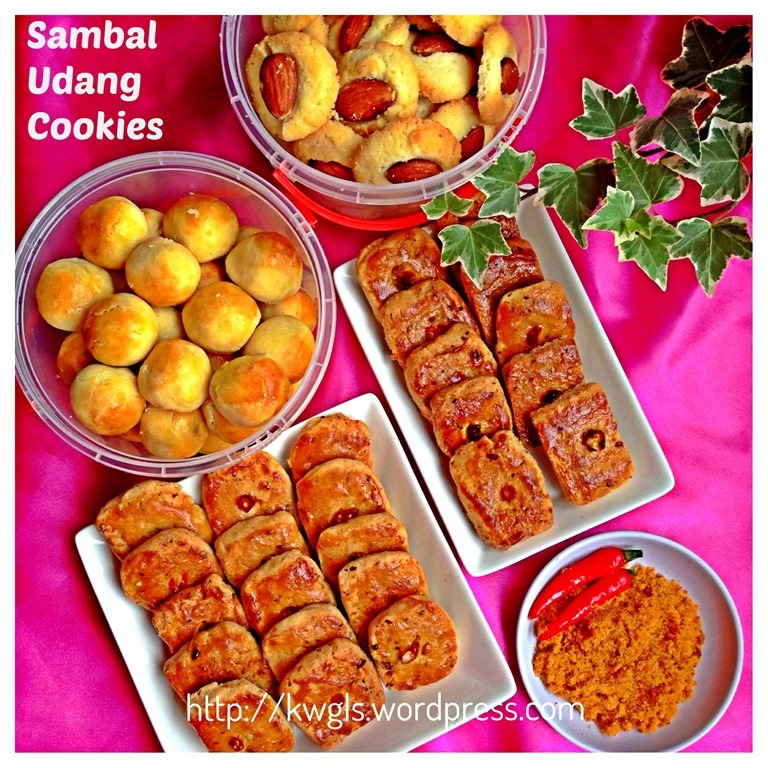 This entry was posted in Cakes and cookies, Chinese and Asian Cakes and Snacks, Chinese New Year 2014, Food Preparation Series and tagged chilli shrimp floss cookies, Chinese New Year 2014, GUAI SHU SHU, Guaishushu, haebeehiam, haebeehiam cookies, kenneth goh, postaday, sambal udang cookies, savoury cookies. 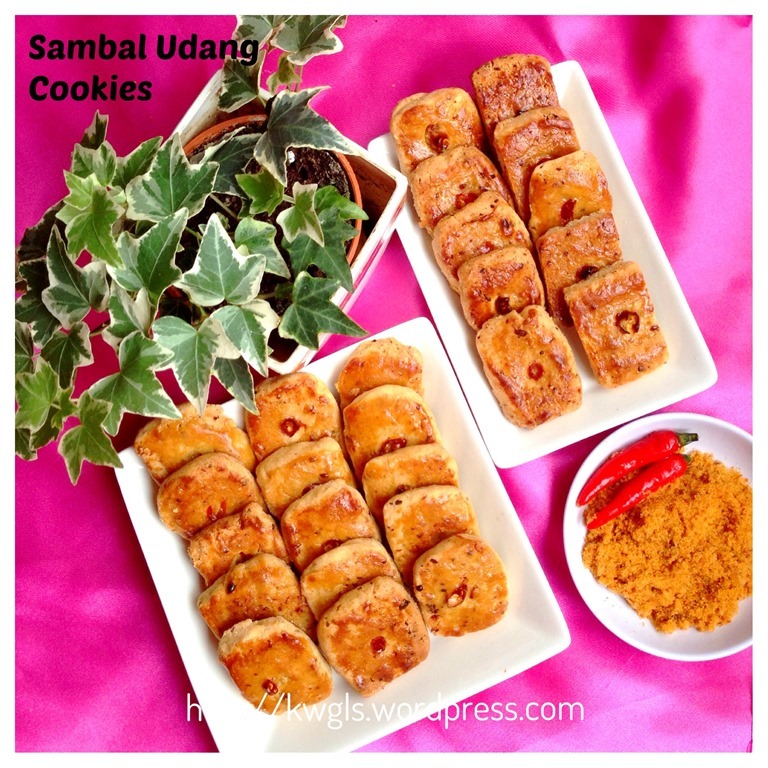 spicy cookies. Bookmark the permalink. Lena, thanks for dropping by. 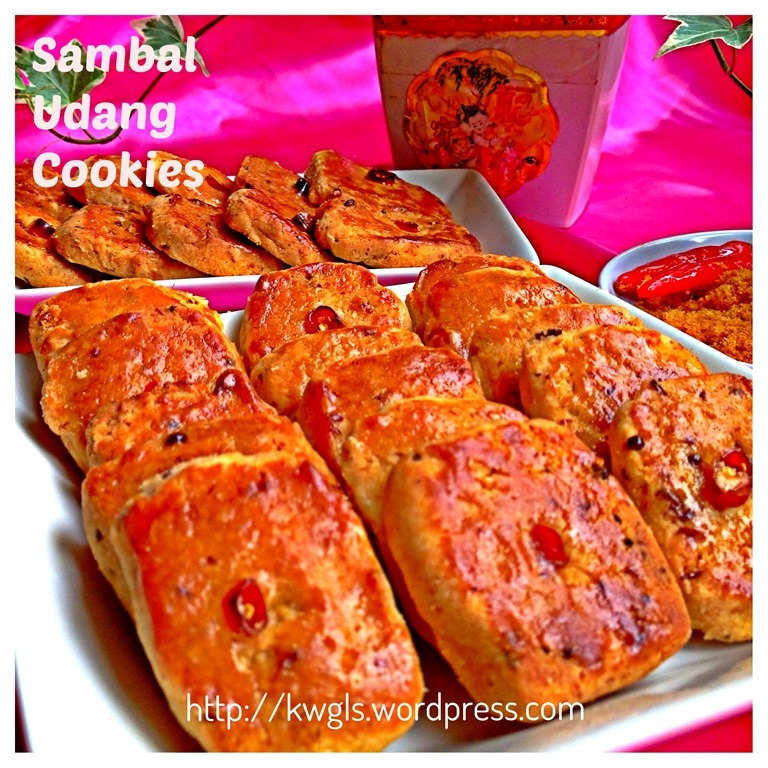 In fact, it taste very nice just like other savoury cookies. 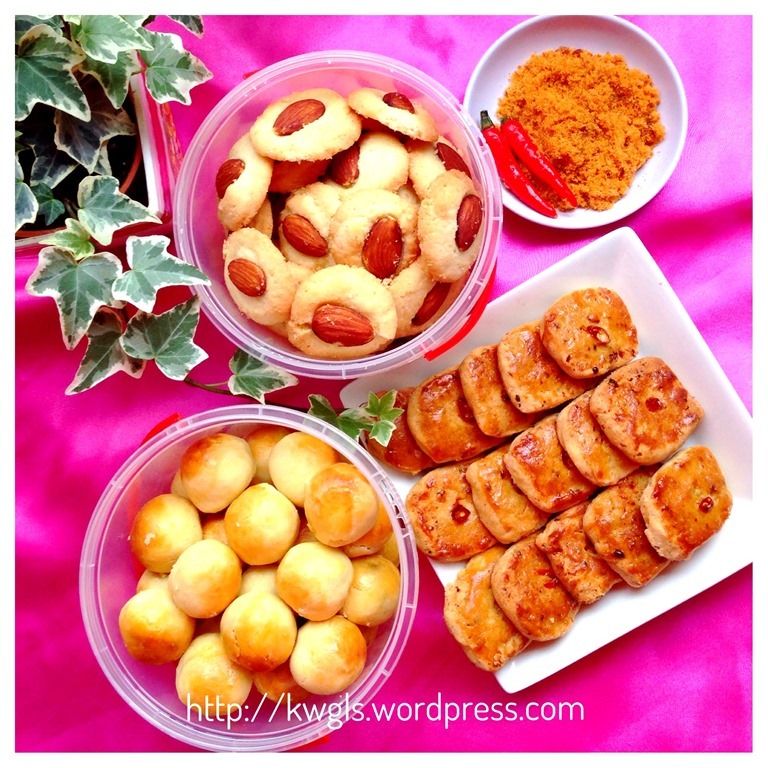 I’m really very new to baking… Thanks for sharing your recipes. Love the Blueberry Yoghurt Muffins you shared. I love them! In this recipe, what’s the equivalent of 1 cup (of flour) in ml or grams? Ur plain flour is bread flour? high protein flour? no. Plain flour is always all purpose flour or medium protein flour.